The Apple Watch is Apple's most personal computer. It comes in four sizes — 38mm/40mm and 42mm/44mm; and two collections — aluminum and the stainless steel. 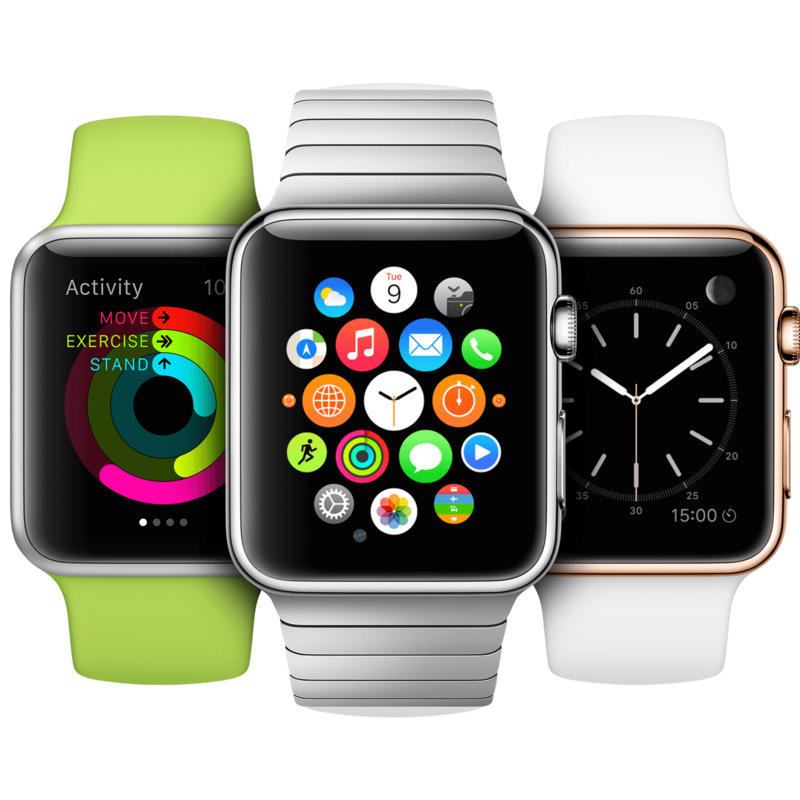 Originally released on April 24, 2015 with a starting price of $349, the Series 3 has dropped to just $279 to start. The current model Apple Watch Series 4 supports GPS and GPS + Cellular and has a larger case size with an edge-to-edge display, a major design upgrade over its predecessor. It's available in black/gray, silver, and gold. Welcome to the next evolution of Apple Watch. You’ve got a gorgeous new watch; snag a case to keep it pristine. Judge Milian on The Peopleâ€™s Court wears an Apple Watch!! Whatâ€™s your April Challenge? Will you succeed? Show off your &#63743; Watch! Apple threw in the towel and canceled the product known as AirPower, here are other products that can help you charge all your devices at once! watchOS 5.2 brings support for 19 more European countries. Music moves you — sometimes literally. But if you don’t have the right pair of headphones, then moving can be a drag. Don’t suffer in silence: The Jaybird X4 is the best pair of wireless workout headphones you can buy. Apple’s Beats X are the best compact Bluetooth headphones you can buy for your Apple Watch. That would be an odd bug - that a workout is counted toward a day when it is completed that day, rather than when most of it took place prior to midnight.